Ever since the first primitive man crawled from his cave, with club in hand, and found something to bash man has contested. First we contested with nature and discovered fire in order to keep warm. We contested with beasts in order that we might eat and be clothed in their furs. Finally, we discovered how much fun it was to battle our fellow man for such things as territory, a mate or even just for fun. If you have religious views you may believe in the story of Kane and Abel. Perhaps the ultimate contest is that between brothers. Sibling rivalry is one of the strongest forms of contest there is. This is the tale of two brothers. They don’t cross swords. They don’t swing battle axes. These brothers contest over words. In the blood red corner we have Ian Ayris. Ian looks honed and focused and ready for battle. 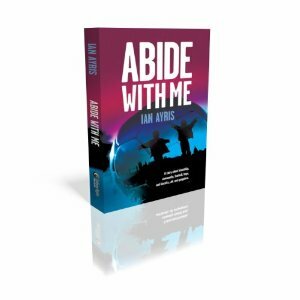 Ian’s first novel Abide With Me published by Caffeine Nights will be out on March the 19th. This novel is one of the most anticipated novels of the year. Ian is no rookie writer. He has a large fan base and has had over forty short stories published online. His distinctive, strong literary voice is one his readers don’t forget in a hurry. In the hazy incense filled blue corner is Stuart Ayris twin brother of Ian. Stuart is having a massage and contemplating the meaning of life. Stuart has an interest in Buddhism and a fascination for the Amish lifestyle. He is listening to the Beatles on an old windup gramophone and reading a cricket biography. 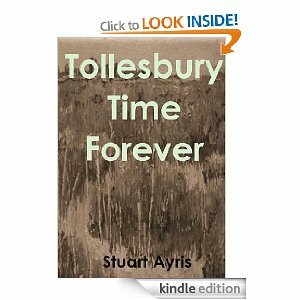 Author of A Cleansing of Souls and the just released Tollesbury Time Forever his musings on life differ from Ian’s stark tales. In the ongoing battle for readers which sibling will triumph? Who will win on the intellectual battleground? Why not enter the fray by reading these books and making your own mind up?